The two 2019 iPhone models with triple rear camera setup are set to come in 6.1-inch and 6.5-inch display sizes. They state that the new iPhones will be direct successors to 2018's iPhone XR, XS, and XS Max. 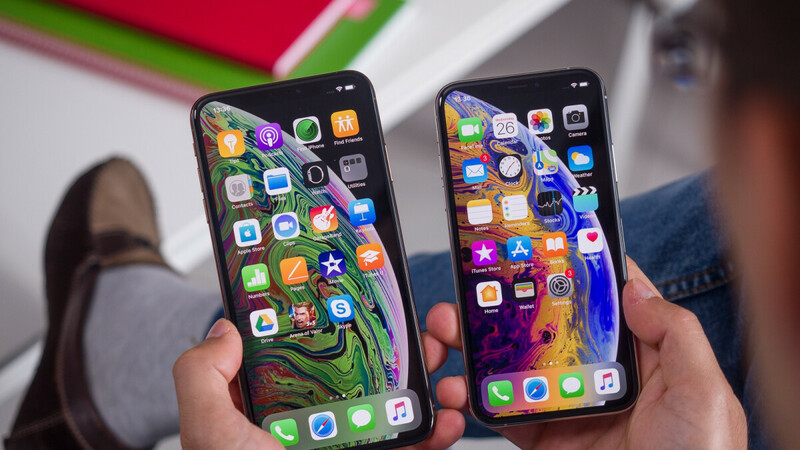 According to a new report by Japanese blog Macotakara, the iPhones 2019 are now rumored to come with 6.1-Inch and 6.5-Inch OLED display models, just like last year's iPhones. Per the Macotakara report, the 6.1-inch and 6.5-inch OLED phones will be beefier than the iPhone XS and iPhone XS Max, though not enough that regular users would notice too much of a difference. However, the overall thickness of the 6.5-inch model would be 0.2mm thicker than the Xs Max. With a triple-lens component, the 2019 iPhone lineup could include the largest iPhone to date, although the company is planning to make the chassis thinner to offset the size increase and reduce the weight of the iPhone. The 6.5-inch iPhone model meanwhile, will be 0.4mm thinner than the iPhone XS Max. The report, which was first discovered by 9to5Mac, said a rear-mounted camera with three lenses will appear on both a 6.1-inch OLED iPhone model and a 6.5-inch OLED iPhone model. The new design can be described as dynamic as it would combine the technology of Apple's newer phone models and the appeal and convenience of the old SE model. "As we have discussed with investors, it has been Apple's pricing hubris on iPhone XR that was the major factor in the company's December earnings debacle in China, however with some recent price cuts demand trends are slowly turning around in this all-important region for Cupertino", analyst Daniel Ives wrote in a note to client. The report also says that the models would pack an Apple 18W USB charger and USB-C to Lightning cable in the package. Equipped with USB-C to Lightning cables as well as a USB-C power adapter, the new phones should have the capabilities to charge AirPods and wireless devices. They would also get bilateral wireless charging found on the Samsung Galaxy S10 and Huawei P30 Pro.